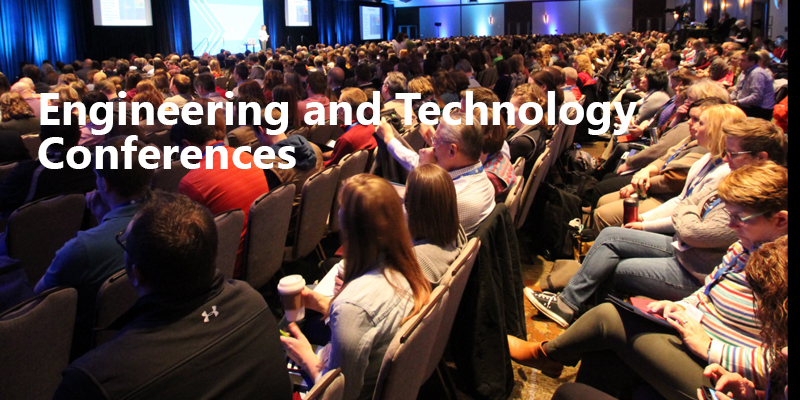 Why Should You Attend Engineering and Technology Conferences? These days conferences are a very effective method of getting to know about the latest trends in the educational world, the latest updates as well as the latest and the upcoming innovation. There are conferences held on each and every subject and even on the ones you are yet to know about. There are hundreds of conferences on engineering and technology that are held each year all across the globe. Now some you might be interested to know the reason why you should be attending an engineering and technology conference at all. There are many reasons that will tell you how important and useful attending an engineering and technology conference can be. Like any other conference, attending a conference based on engineering and technology will give you a huge amount of exposure and will even give you a bigger picture about your peers. These conferences are basically designed in such a way that people get to meet huge number of delegates from their profession. As an employee or an employer what you would be otherwise unable to do these engineering conference help you do that. It helps you to know and come in close contact with more and more professional people and this in turn does not only help your future business but also have an effect on your business prospect in general. These engineering and technology conferences are basically an eye opener for most attendees. They help you in getting greater insight on certain topics and certain ongoing in the technology industry. Being with people of the same profession, talking to them and getting to know them make things simpler for you in your profession as well. You as an employee or an employer couldn’t have managed in your hectic work schedule these conferences will help you out by letting you know what the latest trends in the industry currently are and the prospects of it as well. You will be able to get maximum news about your profession by simply attending these conferences. Many a times it happens that you are finding some solution to the design of your upcoming product to be launched buy there are not enough ideas that you come across. In these engineering conferences there are sure to be professionals and skilled people and by just striking a relevant conversation with them or simply by discussing your issue, you will find a solution to the issue. These conferences are very essential for the growth of any employee. These engineering conferences will help them see the bigger picture and bring them out from the monotonous and boring office environment and instigate them to think about innovative ideas rather than following some basic rules and regulations in a boring fashion. Not just these, there are many more reasons why you should be attending the conferences. There are thousands of conferences on engineering and technology and there are loads of different topics and subjects. In this world which has such a great advancement in technology there is a real need for the general people to be aware of the latest advancements. These conferences are mostly designed in this manner, to provide the utmost information about the latest trends in the best and the simplest fashion for the people to be able to grab it. It is best that you attend an engineering and technology conference and know for yourself what it has to provide. Next Post What’s the Difference Between a Notarized Translation and an Official Translation?